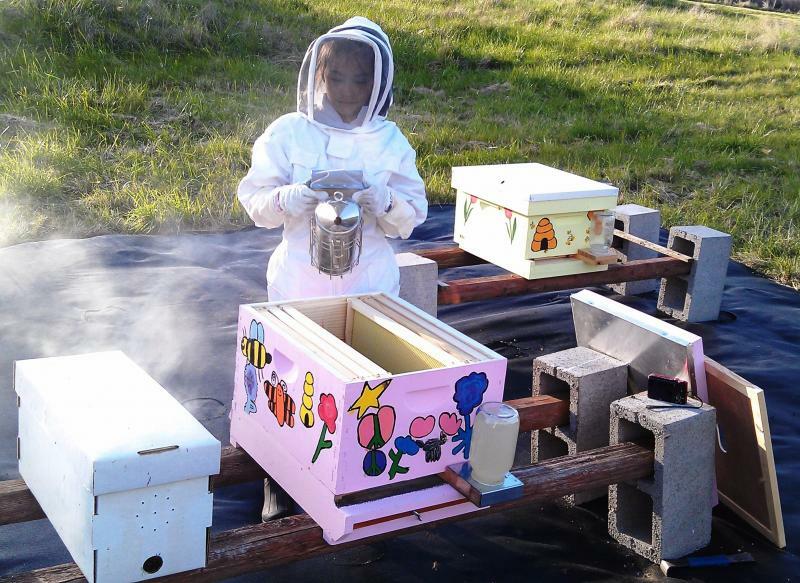 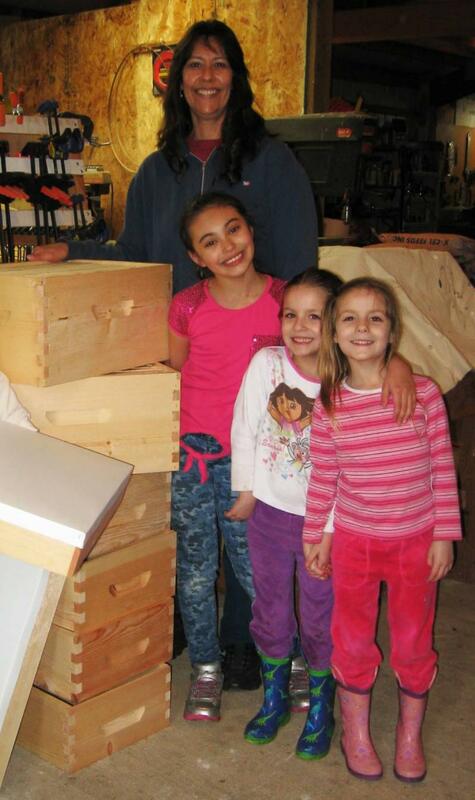 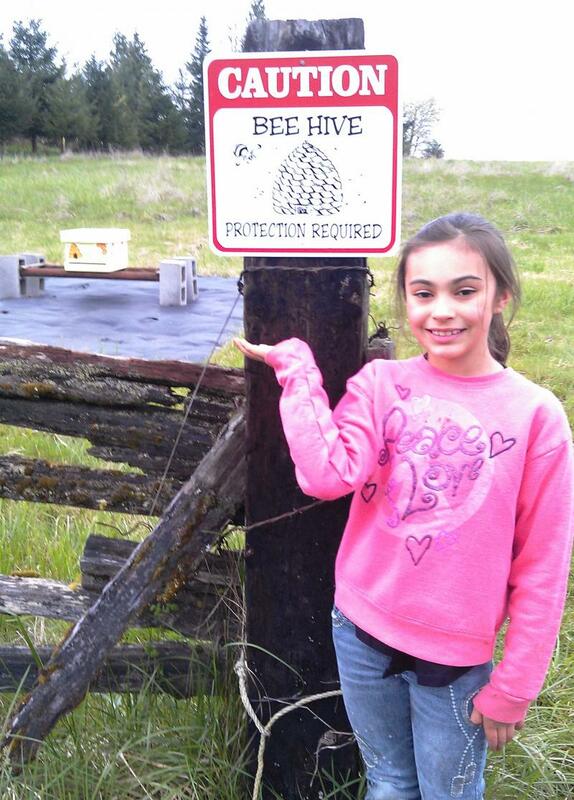 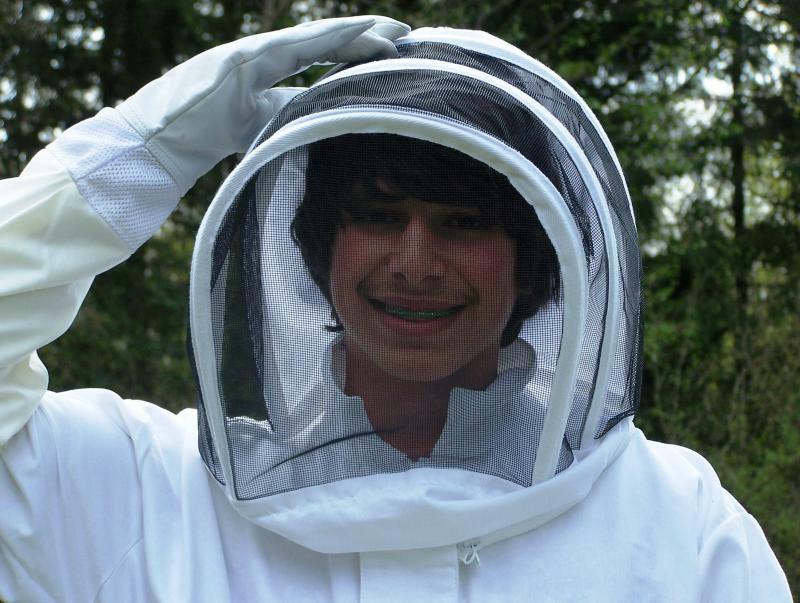 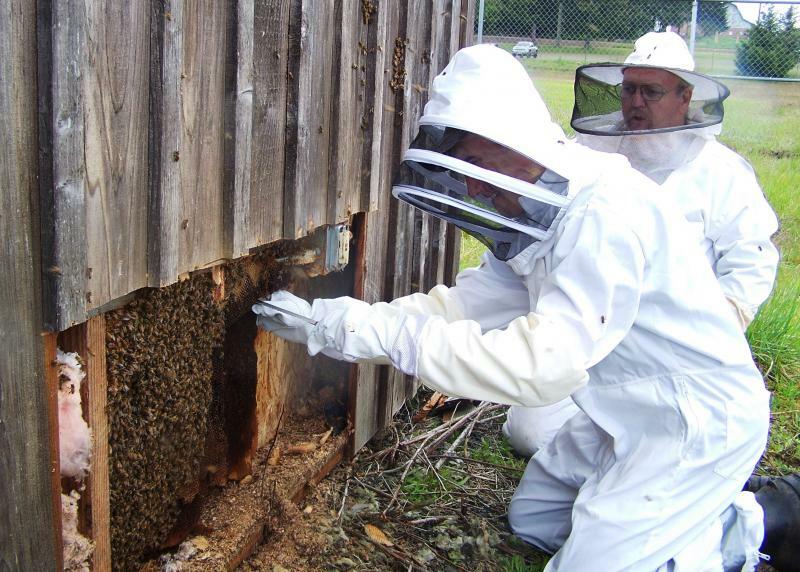 KIDS CAN BE BEEKEEPERS, TOO! 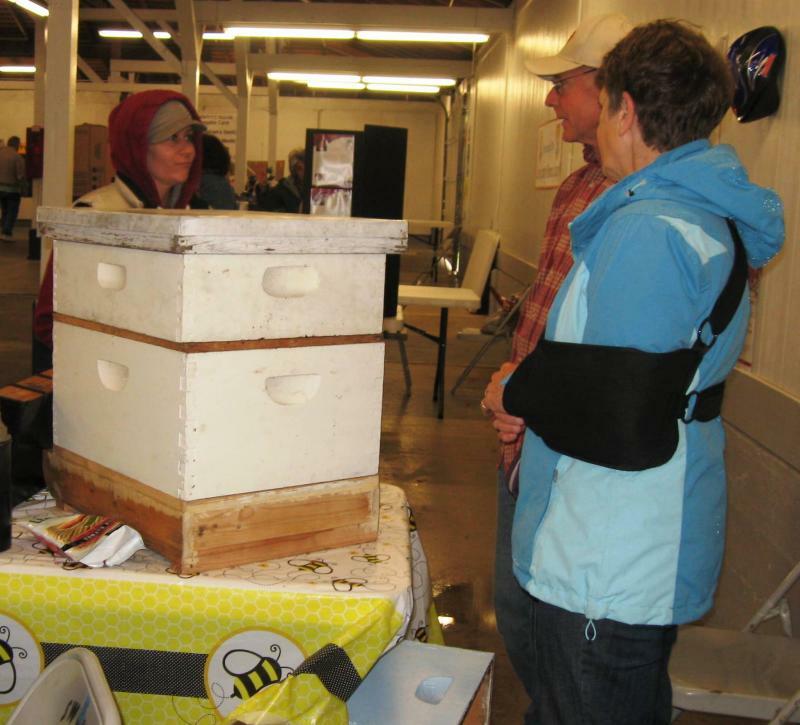 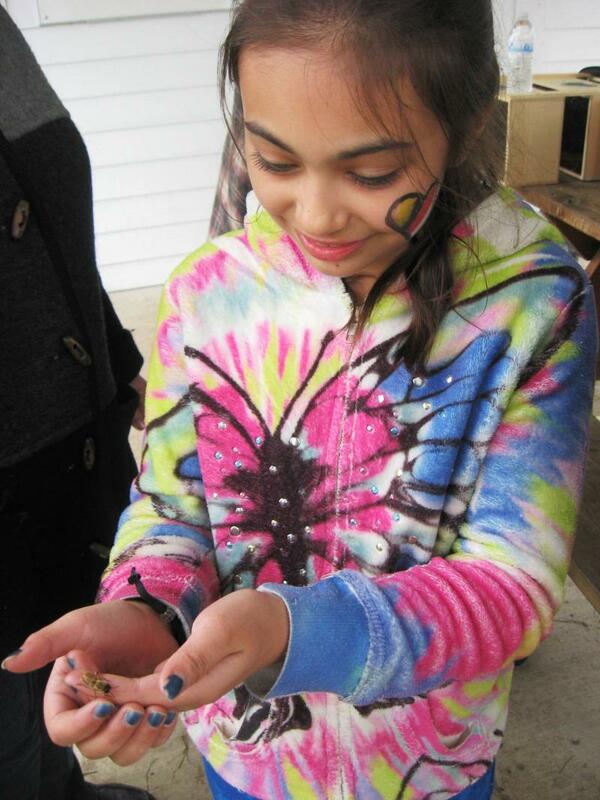 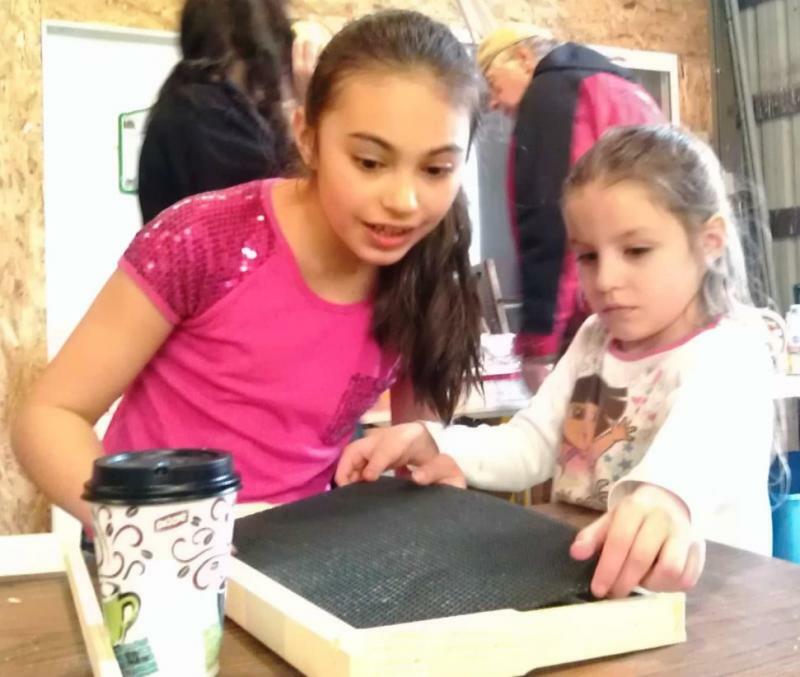 See Photos: Left column, visitors at the Fair; right column, LCBA Kids Working with Bees! 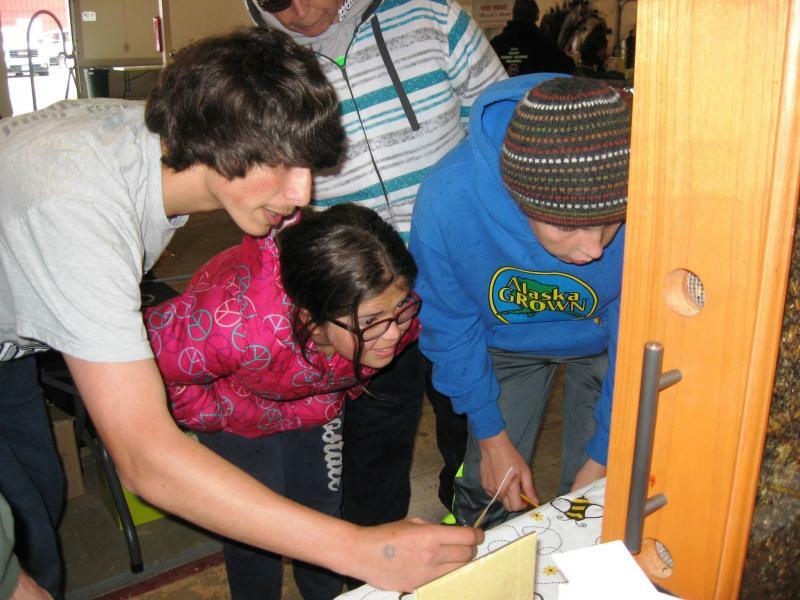 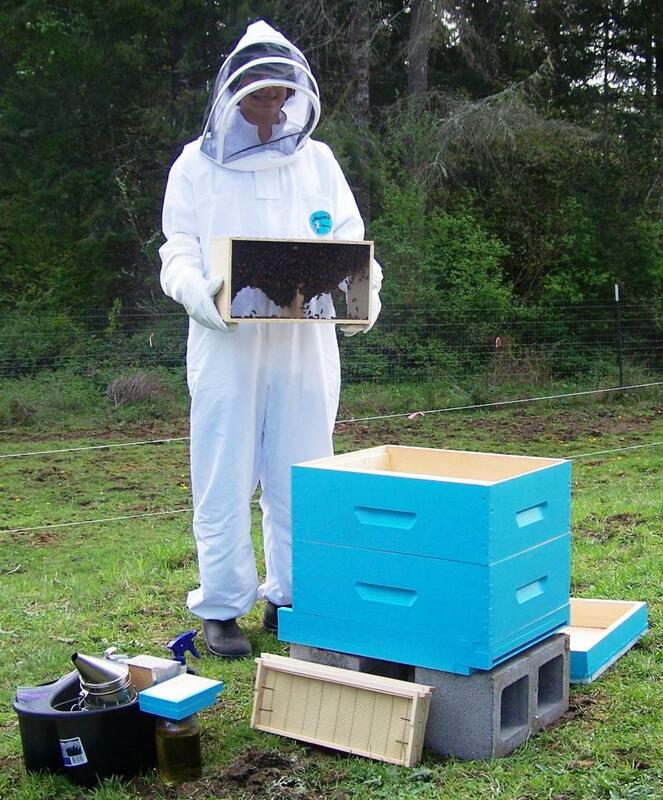 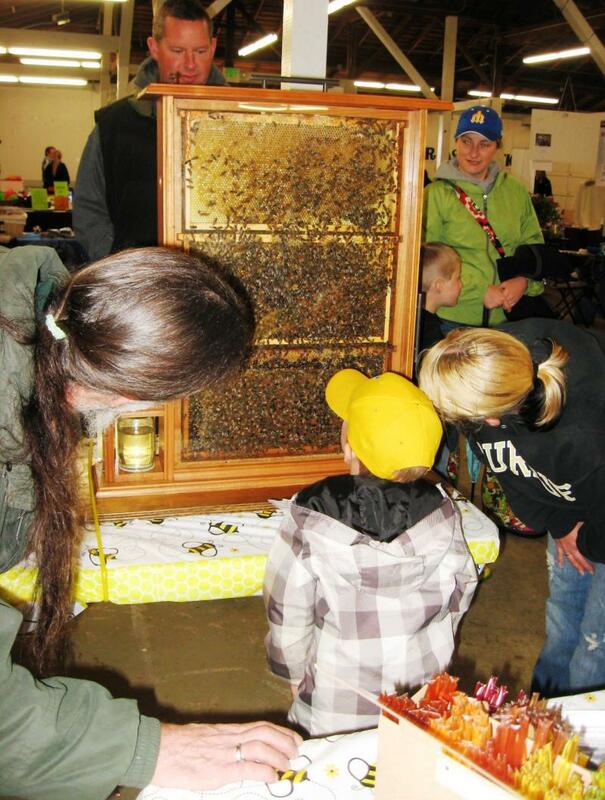 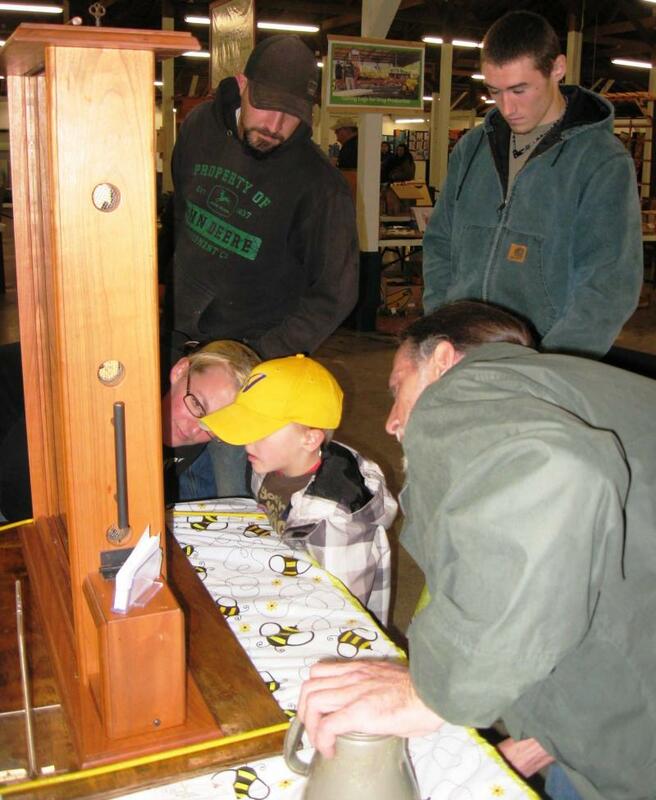 LCBA brought our Observation Hive for our first time exhibiting at Lewis County's Spring Youth Fair, May 3-4, 2014. 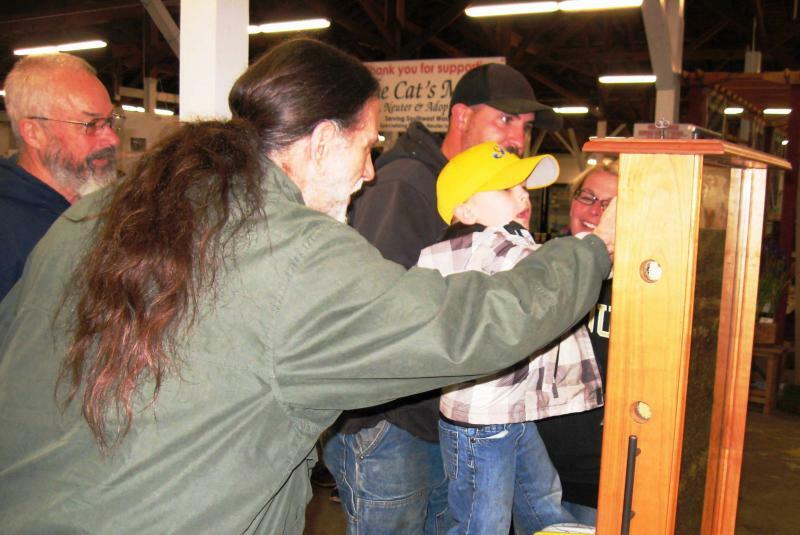 We were swarmed by kids of all ages! 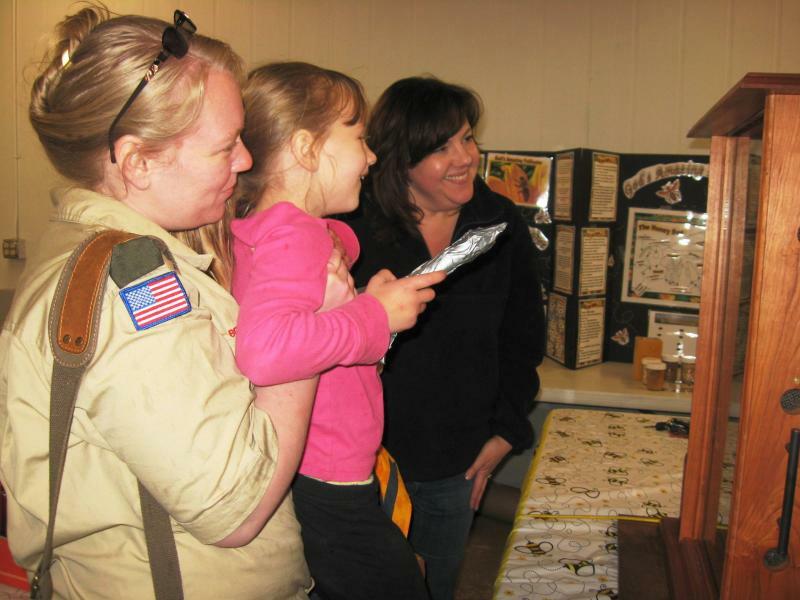 Many thanks to our 15 volunteers for helping get kids excited about bees. 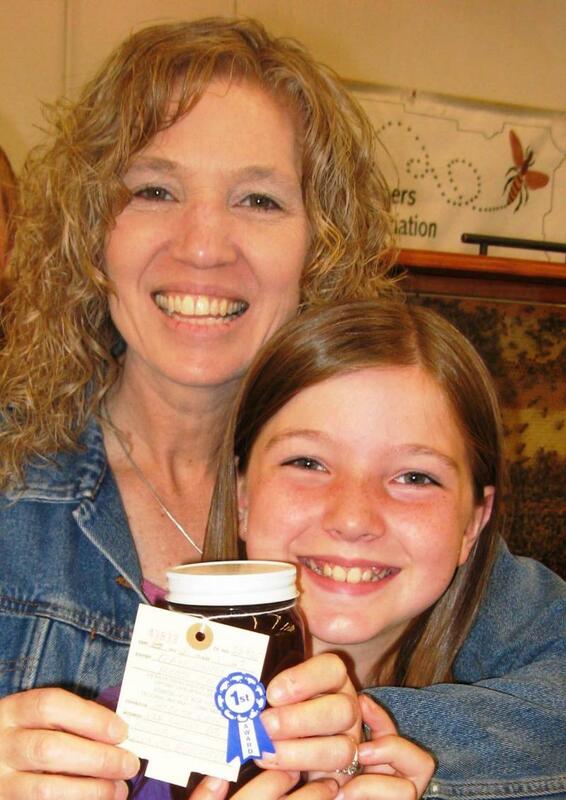 Thanks, too, to the National Honey Board for sending us free brochures to give to families - booklets for kids to cook with honey, recipe cards, the story behind honey, & more. 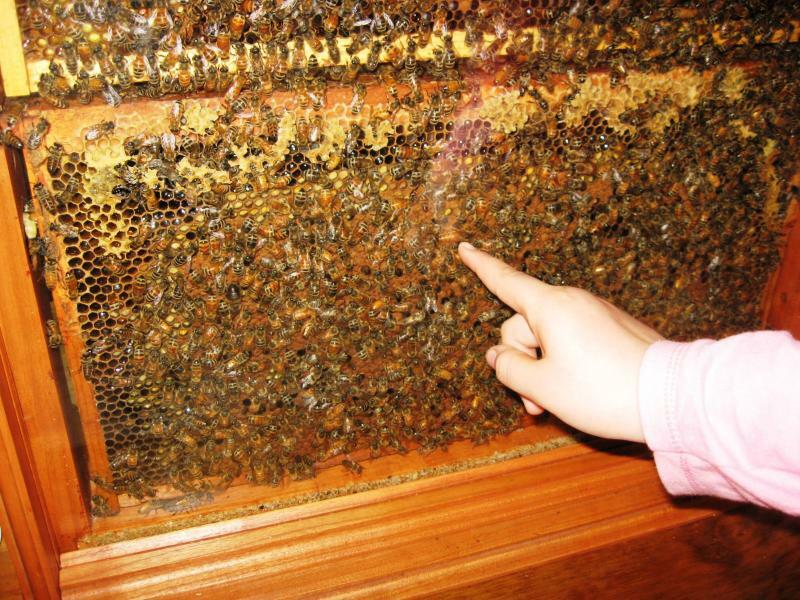 Above, sharp-eyed Sierra spotted the queen; below, can you find her? 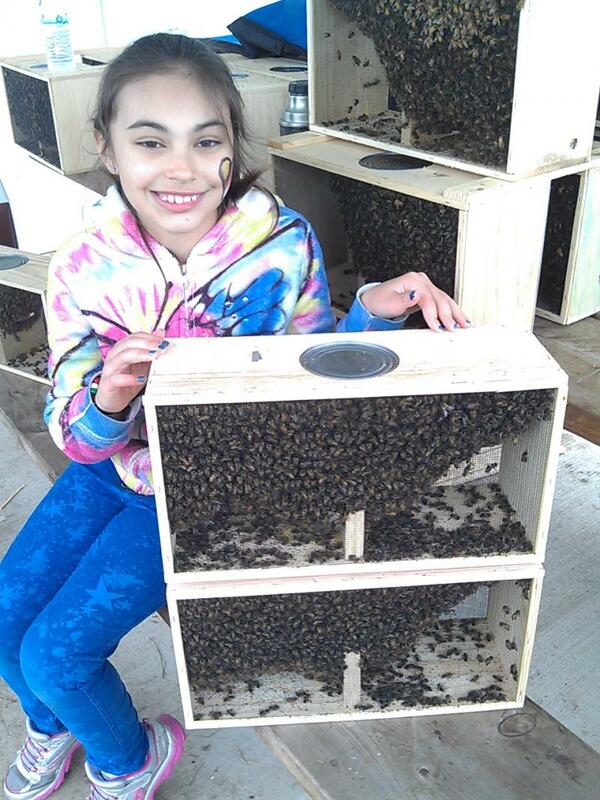 Above, Michaela holds up her hand to feel the heat bees generate inside the observation hive; below, Michaela with mom Terrie, grandmother Linda, & President Norm: three generations of beekeepers! 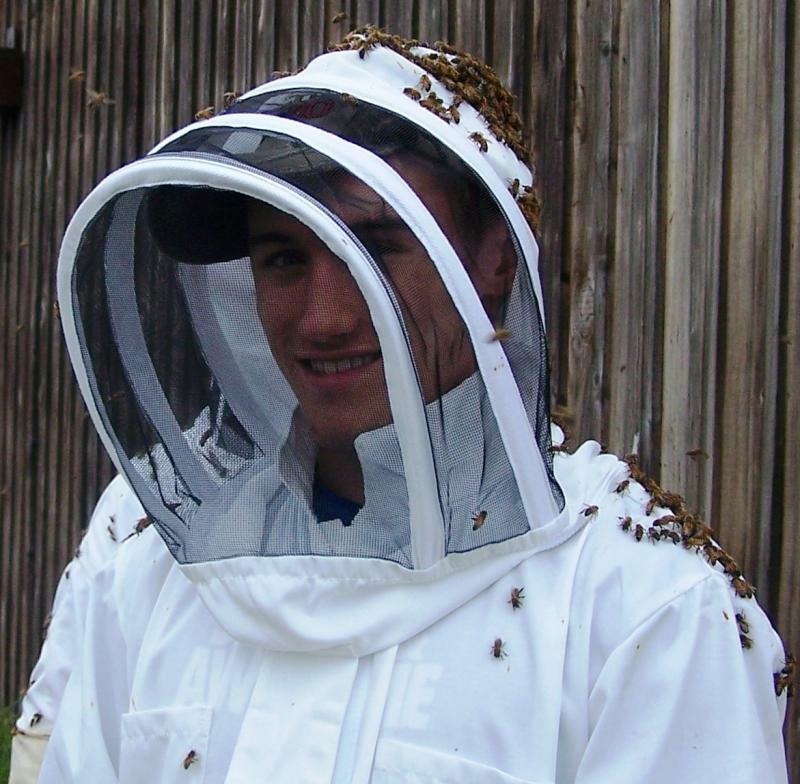 Below, Chris seems happy to have bees all over his suit!